Rotary International President Gary C.K. Huang chose Light Up Rotary as his theme for 2014-15. Huang is urging club members to Light Up Rotary by hosting a Rotary Day in their community, continuing our fight against polio, and increasing club membership. “Light Up Rotary is more than our theme. It is how we make a difference — every day, in every club, and every country we serve.” Banners showing this year’s theme and logo were distributed at the District 7910 Conference. 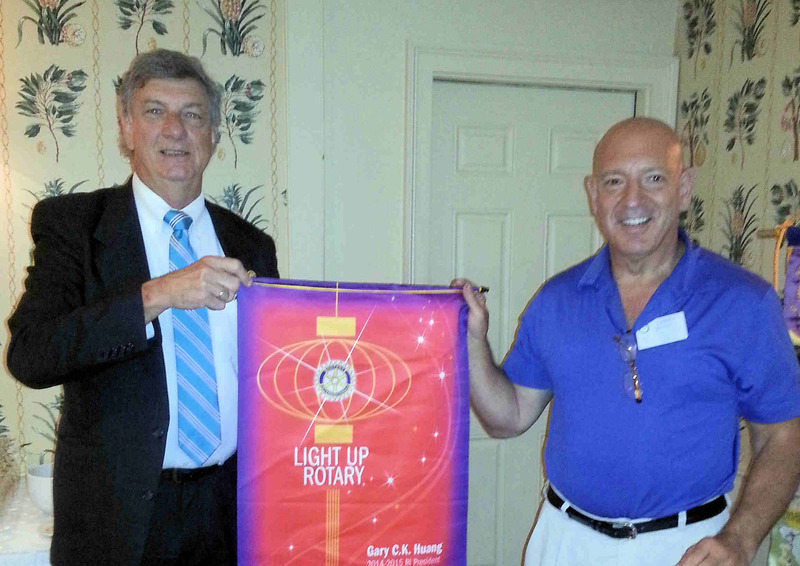 At a recent meeting of our Club, PDG Carl presented President Larry with the banner. On May 19, we inducted two new members. 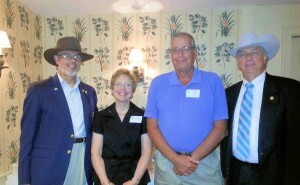 At the July 28th meeting we happily added two additional members to our Club. Please welcome Reverend Janet Leighninger, Pastor of the Sturbridge Federated Church, and Ken Jones, a retired corporate pilot. The two new members were inducted by Past District Governor Klaus (left) and Past District Governor Carl (far right) wearing their signature ten-gallon hats. 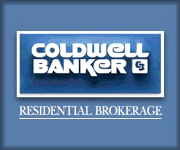 It is anticipated that several more members may join us in the Fall. 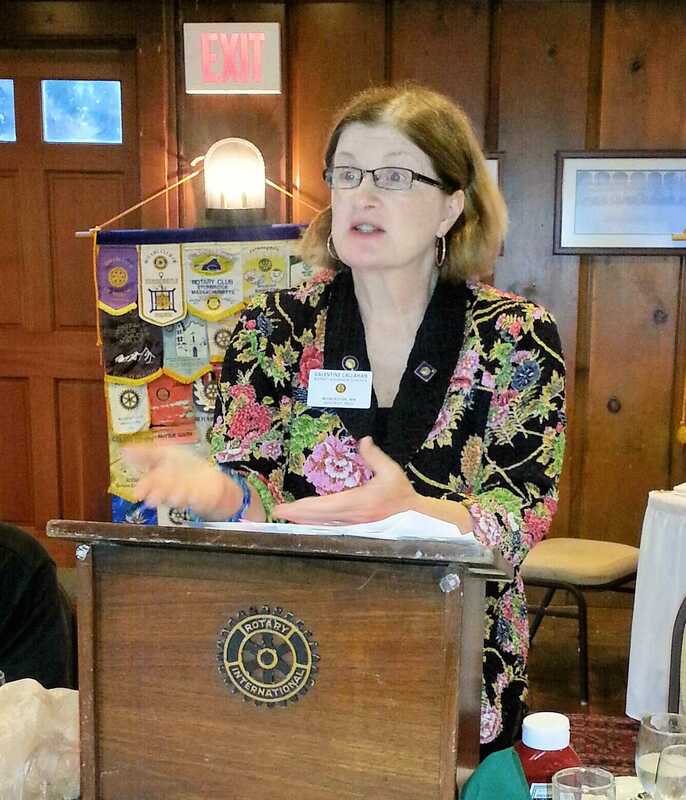 Cheryl Rosen, a Rotarian from the Hudson Rotary Club and a good friend of Sturbridge Rotary, was our guest speaker Monday. 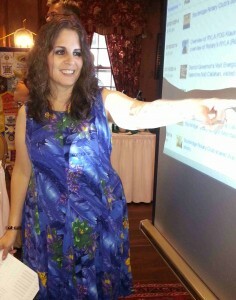 She gave the membership a tutorial of Facebook geared for the novice and on to the intermediate level. For many of us, we are now experimenting with some of the knowledge she gave us. Therefore, if you get some strange postings from us on Facebook, you’ll know why. PDG Klaus Hachfeld gave us an overview of Rotary’s RYLA (Rotary Youth Leadership Award) Program at the meeting on Monday night. Klaus talked about the time and enthusiasm that the students put into their projects and how cohesively they all worked as groups and as individuals. It was a test of their physical coordination, strength, mental skills and communication. They do not slow down from the time they arrive on Friday at 8:00 AM until they are picked up by their parents late on Sunday. These outstanding young adults will be entering their junior year in the fall. 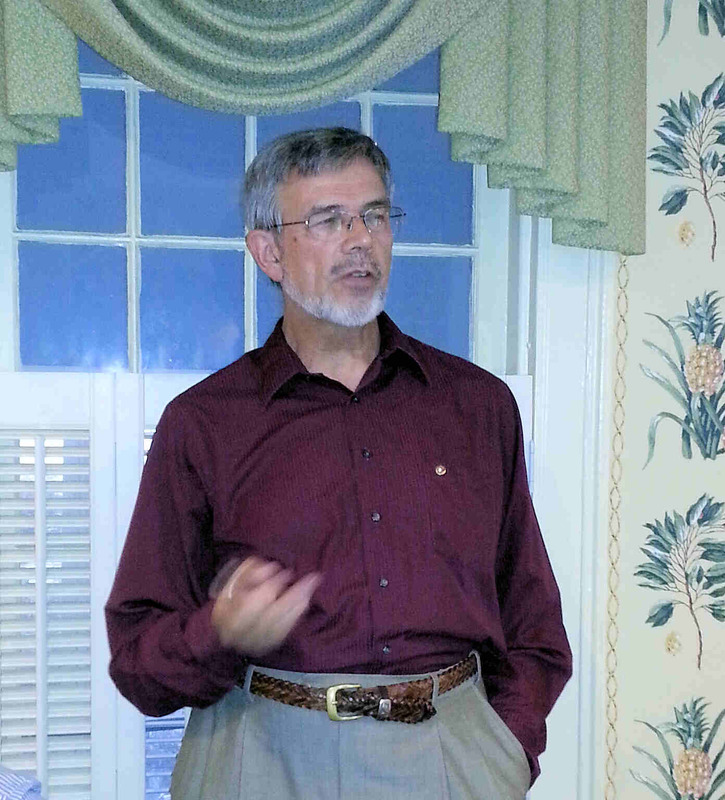 Klaus reiterated that, “Your faith in the future is given a big boost.” The students that Sturbridge Rotary sponsored are currently working on their presentation for the Club which will take place in the next few weeks. It was great having the new District Governor, Valentine (Val) Callahan, visit our Club meeting on Monday night. It was DG Val’s fourth visit to the Club but the first as DG. DG Val is no stranger to Rotary having joined in 1992 and two years later becoming president of the Worcester Club. She has participated in many Rotary projects such as hosting a student from France in the exchange program, hosting GSE teams, hosting a recipient family of the Gift of Life Program, as well as working on many committees. She is a Paul Harris Fellow recipient multiple times and is passionate about the Rotary Foundation and its global outreach and generosity. Rotary’s Polio Plus Program continues the fight to eradicate polio with the hope to reach that goal in 2018. Three countries where polio is spreading are currently at war making Rotary’s efforts to get into these countries extremely difficult. After answering many questions, the members felt renewed enthusiasm for the great work that Rotary does, not only in our local communities but in all corners of the world. The Club presented her with an ‘appropriate’ gift to help her get through any challenging issues during her year as District Governor. Shown presenting the gift is President Larry and Past District Governor Klaus Hachfeld. Three area sophomore students recently participated in the Rotary Youth Leadership Awards (RYLA) program. During this full three-day event held at Worcester State University, students participate in an intense and fun training program for youth leaders in the community. They learn the need for team participation, test their thinking outside the box and improve their public speaking skills. One of the activities allowed the students to plan and put together meals for the “Stop Hunger Now” program. The students excelled by packaging 10,000 meals in 30 minutes! The RYLA program ended late Sunday afternoon where the students gave a presentation to their parents. Rotary District 7910 had 48 clubs that sponsored 175 students. 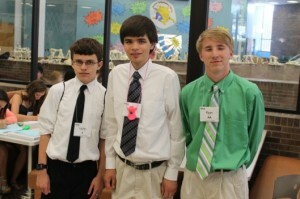 Sturbridge Rotary sponsored two of the students who attended this program. 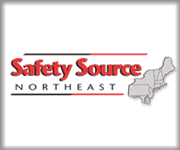 Shown left to right are Justin Rothweiler from Tantasqua Regional, Jason DeForge from Tantasqua Regional, and Ryan Silk from Shepherd Hill Regional in Charlton. All three students have been invited to share their experiences at an upcoming Sturbridge Rotary Club meeting. 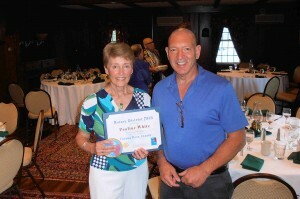 Pauline White of Sturbridge was presented with a Rotary District 7910 “Unsung Hero” Award. 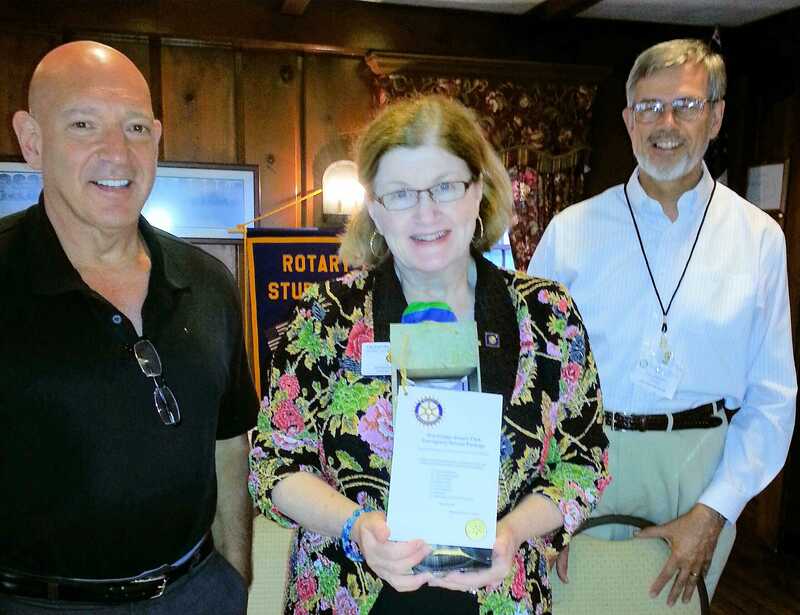 White, an Honorary Rotarian, was recognized for her tireless efforts in helping Sturbridge Rotary. She spends countless hours maintaining the Club’s website, its social media outlet, the Club’s publicity, and helps maintain Rotary Park at the corner of Route 20 and Cedar Street. In her spare time, White is writing the 42-year history of the Club. Each Rotary District issues a limited number of “Unsung Hero” awards at the end of each Rotary year. Nominations are closely reviewed to determine if the nominee meets or exceeds the goals and ideals of the individual club and the District as expressed in Rotary International’s Motto – Service Above Self. Pauline is one of only five to receive the “Unsung Hero” Award within District 7910 which has 52 clubs. President Larry presented the Award. Wendell Wright of Sturbridge was recognized by Sturbridge Rotary as a Paul Harris Fellow. By personally contributing to the Rotary Foundation, Rotarian Dorothy Wright surprised her husband with the recognition. 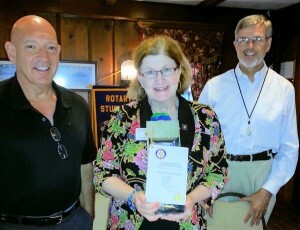 Dorothy’s contribution toward the international Kosovo project driven by Sturbridge Rotary led to this honor. In its 42-year history, Sturbridge Rotary has recognized 58 individuals with a Paul Harris Fellow medallion. Not included in this total are the 18 individuals who have received this recognition multiple times. Paul Harris was the founder of Rotary International. 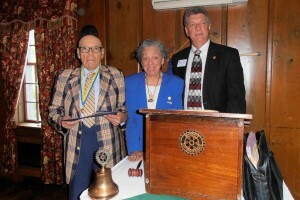 Pictured left to right is Wendell, Dorothy, and Past-District Governor Carl Kaliszewski who presented. 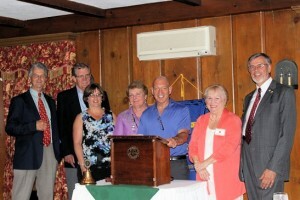 The Sturbridge Rotary Club held its 42nd installation of officers on June 30. Pictured left to right: Otto Prohaska, President Nominee; Bob White, Secretary; Leslie Sullivan, Sergeant-at-Arms; Lorraine Herbert, Treasurer; Larry Mandell, President; Beverly Gray, board member, Klaus Hachfeld, Executive Secretary. Missing was Austin Jenkins, President Elect. The new officers assume their duties on July 1st for the Rotary year 2014-2015.